Regular readers will recall the story of Rampisham Down and the plan to build a solar farm on a nationally important grassland Site of Special Scientific Interest (SSSI). I have written about this case many times over the past few years, and you can read the back story in those blog posts; the story starts 3 years ago here. Just search on Rampisham to find all the other ones. The story has plenty of plot twists, bizarre and slightly unbelievable characters, and some unsung heroes. I’m delighted to say, after all this time, We Won! Yes West Dorset District Council quietly slipped out the news before Christmas, that they have given planning permission to a smaller solar farm across the road from the proposed Rampisham Down SSSI site. As part of the permission, the developers, British Solar Renewables, have agreed to withdraw their plans for the SSSI, remove all the infrastructure they have illegally installed, and agreed a management plan with Natural England, to manage the grassland sympathetically. Wisely, the decision was delegated to the Senior Planning Officer. This avoided the Planning Committee getting involved again, after their epic bungling the first time round. This is a great victory for conservation and something that we can celebrate at the end of this year which has been bad news on so many other fronts. All those people (over 10,000 in the end), who signed the Dorset Wildlife Trust petition to push for the original daft planning permission to be called in for a Public Inquiry, can feel that they made a difference to the outcome of this case. Most credit goes to Natural England for notifying the site in the first place (it would not have happened had it come up now) and for defending the site against immense pressure. 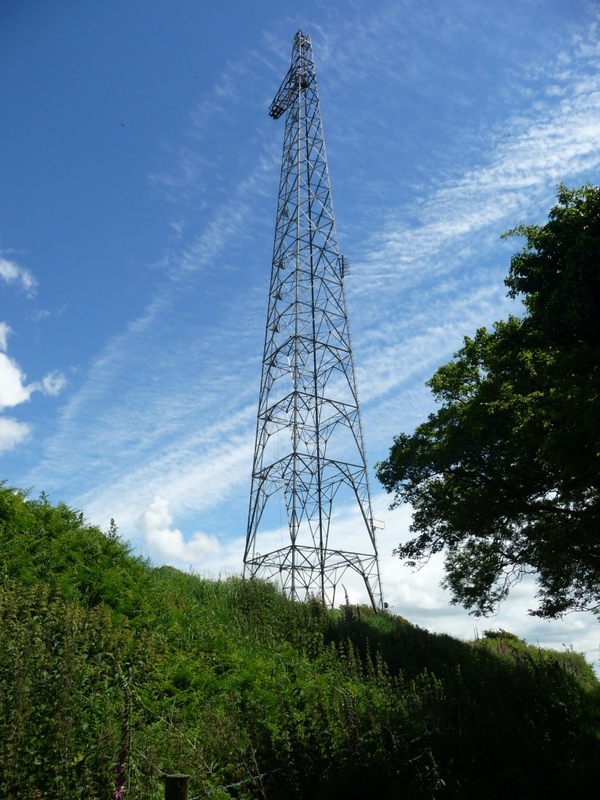 This entry was posted in grasslands, Rampisham Down, Solar Farms and tagged new nature blog, Rampisham, Rampisham Down, Solar Farms. Bookmark the permalink. 19 Responses to Rampisham Down: We Won! And of course well done to yourself for putting the debate in the public domain. Really great news and congratulations for the huge effort you put in. Must give a great sense of satisfaction as the year comes to a close. thanks Paul – it’s certainly good to see something come to a positive conclusion after so long. Thanks for passing on this excellent news Miles. As you say, it is a great victory. Thank you for the important part you played in helping to secure this very welcome outcome. I hope you find a suitable way to celebrate. thanks very much Gary. Yes we will celebrate and raise a glass to the people who made it happen. Really great news, well done you! Let’s now move on to getting all the other daft wind turbine and solar developments which blighten our glorious English countryside shut down for good. Hopefully now we’re out of Europe we’ll see less of the climate change hoaxers dominating these decisions! Well done Miles! thanks Geoffrey. Perhaps you should read some of my other blogs. I don’t have much time for climate change deniers. Brilliant news, well done all. So sad that NE would not notify the site now, so much is at risk. thanks Kate. There is definitely a campaign needed to get everything notified, that qualifies. A good story for a new year. Lets all engage and fight to get sensible decisions made. thanks Bob. Yes lots of challenges this year, but some good for nature could come from it all. Congratulations to you and all who signed the petition. Strength in numbers! Keep up the fight Miles, we need people like you to combat complacency and apathy. Can you clarify is it or isn’t it notified as SSSI? Very pleased that it appears to have been saved from the immediate danger – now the fun begins with actually maintaining the grassland. Any way good effort and well done you and all that pursued this. The site of the original solar farm application is SSSI. The replacement solar farm is not on SSSI land.